This product is currently available for PREORDER with an expected Q1 2018 release date. 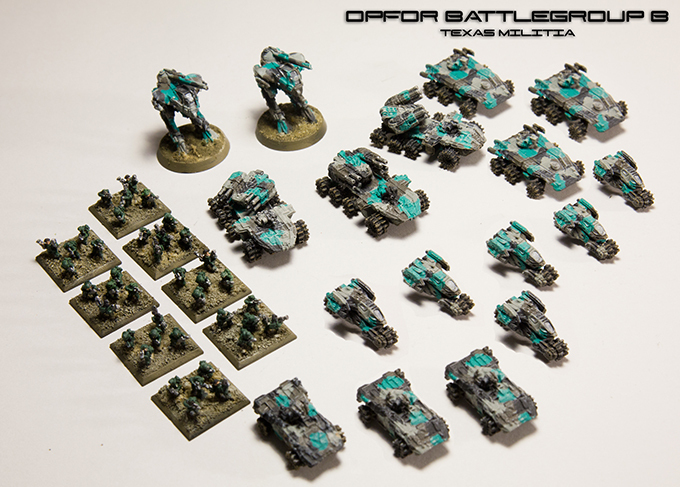 The OPFOR Texas Militia Expansion is a standalone Battlegroup including 6mm models and Combatant Tiles for use with Polyversal's Opposition Forces (OPFOR) faction. This Battlegroup totals 650 points if fielded with standard psychological profiles. The OPFOR Texas Militia has its roots in the former US state of Texas and often operates far from home. The UN has learned to tread carefully when encountering the elusive and well-organized members of the Texas Militia. OPFOR forces around the globe rally behind this growing group of men and women who fight and win strategic victories against UN forces without fear. This land-based battlegroup is led by three Growler Infantry Fighting Vehicles (Microworld Games). Support from three Warthog AA/AP tanks (Microworld Games) provides balanced firepower and mobility. Heavy firepower comes courtesy of two Vorace Walkers (Dark Realm Miniatures). Six fast Landhawk Scout Vehicles (Microworld Games) provide advance recon for the main body in most terrain. Scarab Armored Personnel Carriers (Microworld Games) protect and transport the 40 Pax Arcadia Standard Infantry (Dark Realm Miniatures) to any location. All models include Combatant Tiles with statistics designed and balanced to work well together as a Battlegroup. Field as a complete group, supplement other OPFOR Battlegroups, form Units into Elite operatives, organize special task forces, and more. How you deploy the Texas Militia within Polyversal is up to you. This expansion is not a standalone game. 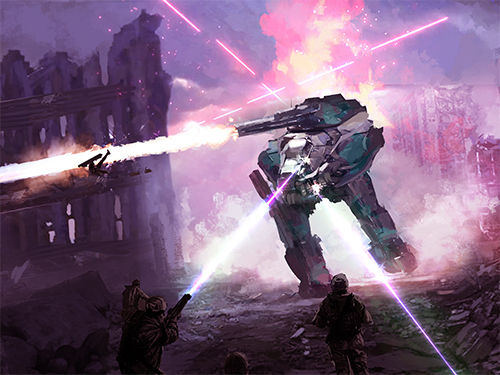 It relies on either base game of Polyversal: CEW00009 (no miniatures) or CEW00010 (2 battlegroups), to play. This product is intended for players who want to get started playing Polyversal without having to spend any time designing Combatant Tiles for the game. While you may always customize the game later, this set includes one complete Battlegroup of miniatures and Combatant Tiles pre-designed by Collins Epic Wargames for a more out-of-the-box playable experience. We have partnered with five manufacturers to include an awesome collection of miniatures from multiple lines that are all compatible within Polyversal. 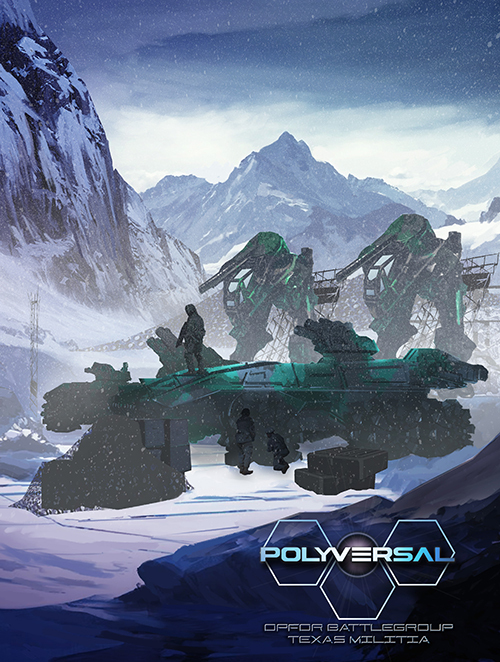 James Masino and Bruno Werneck have created amazing sci-fi artwork for each Combatant Tile within this expansion to help bring these models to life within the Polyversal story.